Yes, paper is a plant-based product but manufacturing paper does involve chopping down trees. And paper production is generally not environment-friendly. A third of all wood processed globally actually goes into paper and pulp production. The actual paper manufacturing process uses large amounts of water and energy. To top it all up, paper production generates a lot of highly contaminated effluents. And when you have inefficient effluent treatment, that can have severe repercussions on the neighbouring environment of any paper manufacturing unit. Our client runs a paper manufacturing factory in Ambivli, Maharashtra. And they were facing multiple challenges with their effluent treatment plant. COD/BOD reduction was inefficient. MLSS levels were unstable. And they were constantly falling short of outlet parameters prescribed by the Pollution Control Board (PCB) of India. It was in this scenario that they approached us for a solution. We began with an analysis of their effluent treatment plant. 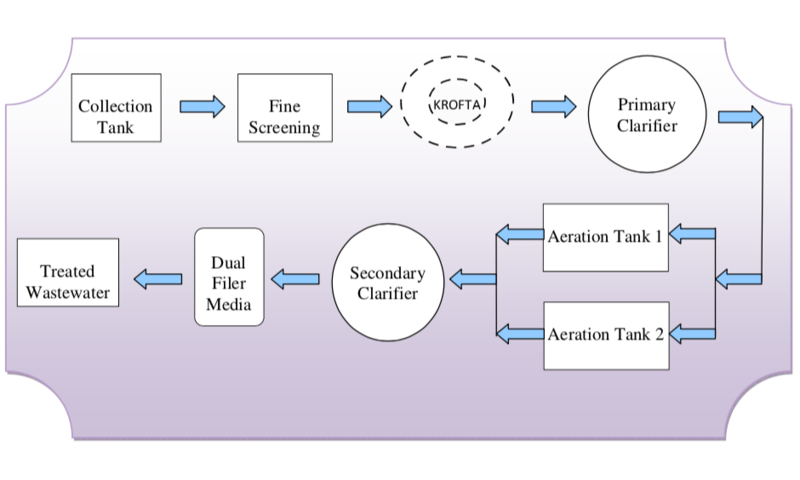 The effluent initially passes through a screen chamber for fine screen filtration and removal of pulp particles. This water is then passed on to a KROFTA supercell unit which reduces the suspended solids from 800ppm to less than 50 ppm. This effluent is then processed equally in two aeration tanks of 630m3 each for biological treatment. Aeration is provided with the help of diffused aerators and DO in the range of 1.5 – 1.8 ppm is maintained within the tank. After biological treatment, the effluent is passed to a secondary clarifier where some sludge is re-circulated and excess sludge is drained off. The effluent is then sent to the dual filter media consisting of activated carbon and sand filter for tertiary treatment. We performed a BioSure study on the raw effluent sample to carry out a treatability study. After the study, our team recommended treatment with CleanMaxx. 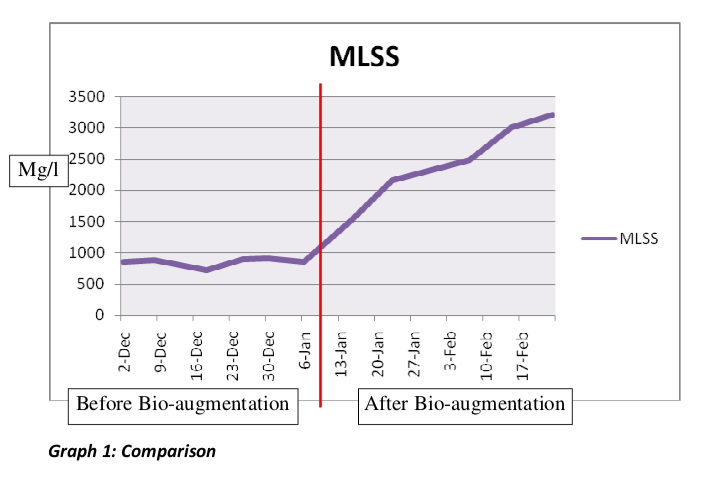 We started bio-augmentation and continued it for two months. MLSS in both aeration tanks were low – between 750-900 mg/l – before treatment. We started observing gradual improvement in MLSS within 20 days and within 45 days, we achieved desired MLSS of 3200 mg/l. Efficiency of both bioreactors was improved and after 2 months, both were working at 80-85% efficiency. The biological system was stabilized and growth of effective microbial population was achieved in both the aeration tanks. Outlet parameters were improved significantly and came within PCB prescribed norms. We understand the economics of paper. And we understand the environment. And we have 18 years of research that marries nature and science to ensure economics and the environment can co-exist in harmony.